Carleton Village School was declared surplus by the Toronto District School Board and, with no protection through heritage listing or designation, slated for demolition in 1998. This local landmark, however, represented great symbolic value for community members of Carleton Village, the Junction neighbourhood it had served since 1913. 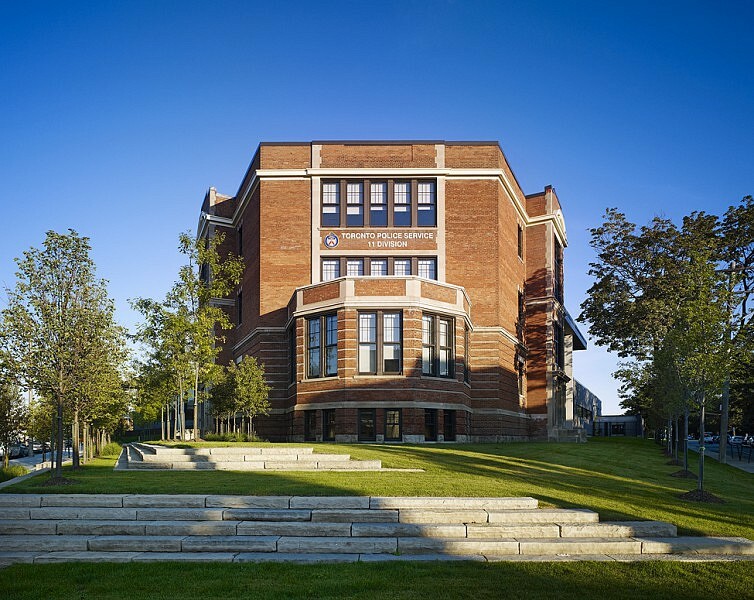 In collaboration with Toronto Police Services (TPS) and local residents, Stantec Architecture and ERA Architects have rejuvenated this fine Edwardian structure and reasserted its place in the neighbourhood. This adaptive reuse project housing the new 11 Division facilities engages the community through heritage conservation, high-quality design, and the creation of a publicly accessible green space.